Events Archives | Stratos Jet Charters, Inc. Marijuana on flights, brokers that break the rules and stunning new private jets for charter were just some of the highlights of 2018. From coming up with an amazing way to support aspiring pilots and profiling incredible new aircraft to sharing the unbelievable stories of smugglers and debunking popular myths about private jets for charter—2018 was indeed a notable year for Stratos and our industry. With just a few days left in 2018, we wanted to take a moment to highlight five of the most notable events of the last 12 months. 1. And the scholarship goes to…. With a looming pilot shortage and a lack of women entering the field as pilots of private jets for charter, we wanted to do something to both raise awareness of this issue, and give a hard-working pilot a headstart. In 2018, we were incredibly proud to launch its inaugural pilot scholarship. The $2,000 bursary will help emerging private jet pilots cover the cost of training (approximately $80,000). And guess what? 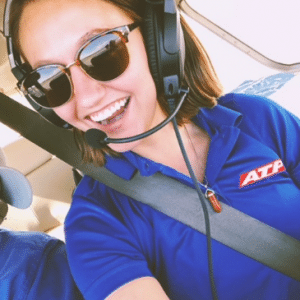 Our first-ever pilot training scholarship winner was 26-year-old Kimberly Novak, currently attending ATP Flight School at Daytona Beach International Airport. Kimberly Novak, 26, received Stratos’s first-ever scholarship for pilots in training to fly private jets for charter. 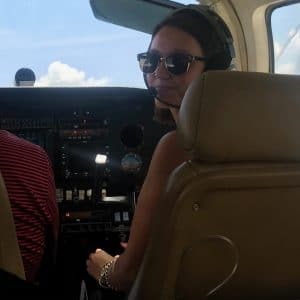 Learn more about her journey as a female pilot in training! Have you ever been tempted to sneak an oversized aerosol hairspray onto a commercial flight? What about lighters, marijuana or a weapon? *What are the most popular contraband items brought on planes? *What was the reason they shirked they rules to bring banned goods aboard? · *Were you on a trip for business or pleasure? Curious yet? Find out what sky-high mugglers were willing to risk, and what they were thinking! Announced in 2018, the Pilatus PC 24 is set to become one of the more popular private jets for charter for those who want the versatility of a turbo-prop and the comfort of a medium-light jet. They’ve been called the mansions and supercars of the sky, and we got our first glimpse of a few this year. 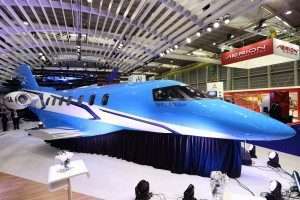 Check out this year’s most stunning new private jet aircraft, and try not to drool! Visit us on Facebook and Twitter, and tell us which is your favorite! Births, deaths, drugs—flight attendants see a lot at ‘the office.’ We were curious about the most surprising things they’ve done and seen, so we asked! ·< *Which of these things have you done on duty? ·< *Which of these things have you seen on duty? ·< *What are the most annoying passenger behaviours? ·< *What in-flight fears do attendants have? ·< *What emergencies are they really prepared for? If you’ll ever be on a commercial flight again, you have to read this article! This was an event that made the news for several tragic reasons, and made many of us in the private jets for charter industry feel something beyond frustration. Read more about how this operator put people’s lives at risk, and how we go above and beyond to prove how we maximize clients’ margin of safety on every single flight. Whether you’re an avgeek, addicted to luxury travel or just want to see how the other half travels, we’ve enjoyed sharing our world and expertise with you in 2018. To another year of safe and exciting travels, from everyone at Stratos Jet Charters! 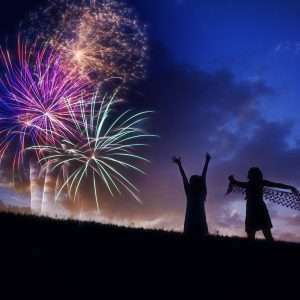 When it comes to the Fourth of July (aka Independence Day), millions of Americans flock to places such as Washington D.C., New York and Boston to take in the spectacular fireworks displays and other festivities. But if the thought of celebrating in a congested city feels a little overwhelming, these private jet getawaysmight just be the alternative you’re looking for. The big day is just a week away, and even if you haven’t made plans yet, you can still find last-minute jet charters to take you just about anywhere (things have changed a lot since the Declaration of Independence was signed way back in 1776). As one of the original 13 colonies, Rhode Island is a great place to celebrate Independence Day. Newport’smaritime heritage, quaint architecture and moderate summer weather make it particularly appealing. Boston Brass will open the festival with a Fourth of July Extravaganza, a free event that is sure to impress. 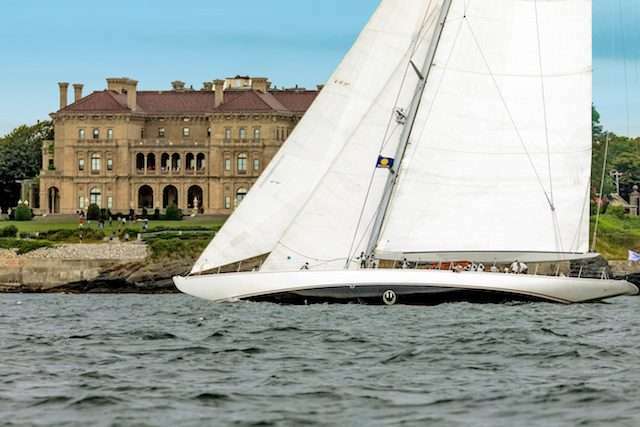 If you’re still around later in the month, there’s also the Candy Store Cup, a superyacht regatta co-organized by the Newport Shipyard and Bannister’s Wharf. Getting there:Quonset State Airport (OQU) is conveniently located off I-95, and is within easy driving distance of Newport. Sticking with the east coast, Cape Cod is another luxury travel destination worth visiting on the Fourth of July. In particular, Hyannis, located on Nantucket Sound, is a quaint seaside town and the former summer vacation home of the Kennedy clan. Getting there:Barnstable Municipal Airport (HYA) is the best option for people arriving on private jet getaways to Cape Cod. Located less than two miles from the town center, you can reach most destinations in the town in less than 10 minutes. 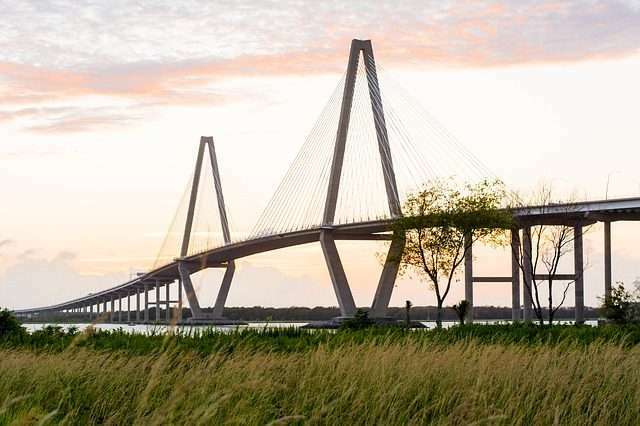 Getting there:Those arriving on a private jet getaways have access to Charleston Executive Airport (JZI), which is more convenient than the local international airport. Tellurideis renowned for its epic ski conditions in winter. Those same slopes make for some equally impressive hiking and biking in the summer. With its cooler summer weather (usually in the low 70s), it’s a great place for anyone who wants to beat the heat. 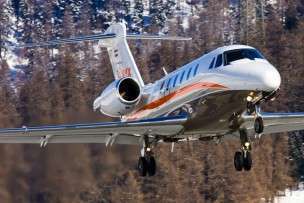 Getting there:Telluride Regional Airport (TEX) is the best bet for private jet charters flying into Southern Colorado. If you’re looking for last-minute private jet charter getaways, Stratos Jets is just a phone call away. With just four hour’s notice, we can have you on your way to the destination of your choice—888-593-9066. Well, Mother’s Day is in the books for another year. In a few short weeks it’ll be Dad’s turn in the spotlight. If he’s an avid fisherman and you want to surprise him with a truly memorable day, consider booking a private jet charter to a popular angling destination. By flying privately, you can land closer to those off-the-beaten-path fishing resorts than you can on a commercial airline. 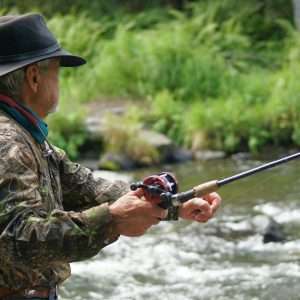 Plus, you won’t have to worry about a baggage handler accidentally snapping your favorite fly rod during transport, as you’ll be able to bring all of your gear with you on the jet. 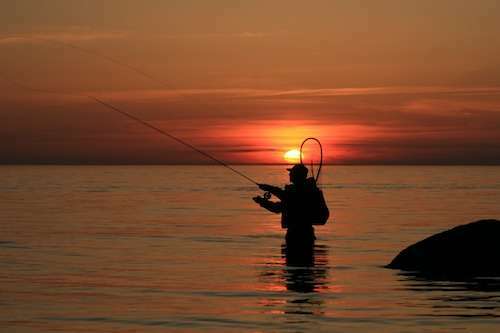 Whether you’re into saltwater fishing, or you want to hook into a trophy bass, Florida is an angler’s dream. Nicknamed ‘The World’s Luckiest Fishing Village,’ Destin is a great choice for those who want to get out on the Gulf of Mexico. This small town, located on the Emerald Coast in northwest Florida, boasts the state’s largest charter fleet. With its beautiful beaches and emerald-green water, this is also a place the whole family can enjoy. Furthermore, flying on a private jet charter to Destin is easy, as Destin Fort Walton Beach Airport (VPS) is less than half an hour away. We’ve all seen the 1992 classic A River Runs Through It. It was filmed in the fly-fishing hub of Montana, regarded by many as the premier trout fishing destination in North America. There are many world-class rivers, spring creeks and lakes worth exploring in this beautiful state. Spending Father’s Day in Alaska will give you a great opportunity to land some king salmon, as well as some early red salmon. There’s also some amazing halibut and lingcod fishing year-round. 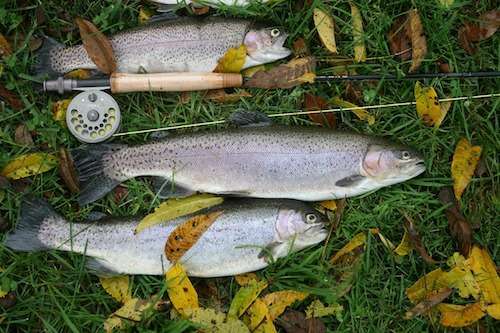 If you’d rather venture inland, you can also find resident rainbows, grayling and pike in the states many lakes. Mid-June (ie. Father’s Day) is a great time to hit up these spots as the salmon flies and other hatches are starting to emerge in numbers. If you’re coming specifically to fish Henry’s Fork, Driggs-Reed Memorial Airport (DIJ) has a 7,300-foot runway capable of handling most private jet charters, including heavy jets. For other popular angling destinations, check out our post: Private Jet Charters Will Get You Hooked on Fishing. If you want to fly in style, safety and comfort for your next travel adventure, call Stratos Jet Charters. Our experienced agents will help arrange transport to remote and hard-to-reach destinations around the world. Every year, there are a handful of marquee events that attract throngs of affluent travellers from around the globe. From sports to culture to business, people often book private jet charters to major events (or other forms of air travel) in order to witness it firsthand. With potentially hundreds, or sometimes thousands, of flights arriving all within a short timeframe, it places a heavy burden on local airports and surrounding infrastructure. Here are a few tips that will help ensure you enjoy a timely arrival and hassle-free travel experience. 1. Which Events Receive the Highest Private Jet Demand? Under normal circumstances, you can usually book a private charter flight with just a few hour’s notice. 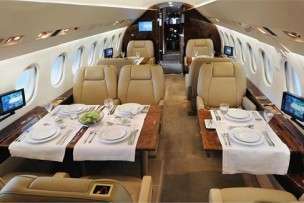 However, booking private jet charters to major events is anything but normal. That’s why it’s recommended that you arrange your travel plans at least three or four weeks in advance. Airport slots: Air traffic control will often regulate the number of available airport slots for arriving and departing planes during heavier-than-normal travel periods. Flight planning: planning a trip into a city for a major event can take longer than normal, as it can be more difficult to secure things like landing permits and crew visas. Airport parking: The volume of private jets arriving for major events can cause aircraft parking to reach capacity. Once that happens, any additional planes will be forced to reroute to a nearby airport and return later to collect you later once the event has ended. This can result in additional repositioning fees and can complicate the flight planning process. When you fly to a larger city, you typically have more airport options to choose from. This not only adds flexibility for flight planning, it also means that center will be better equipped to handle larger volumes of air traffic. The opposite goes for smaller cities. 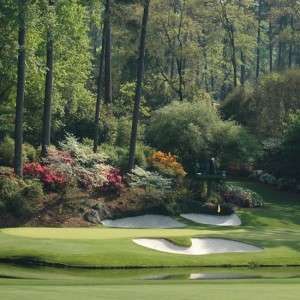 For instance, if you want to book charter flights to The Masters, August Regional Airport (AGS) is the only local airport capable of handling air traffic, which amplifies the effect of high-volume air traffic. When booking private jet charters to major events, it’s important to remember that pilots and crew are only permitted to work a maximum of 14 hours at a time. After that, they are required to rest for a minimum of 10 hours before their next shift. This can be a limiting factor if you’re hoping to fly to an event and return home in a single day. Similar to aircraft parking, an increase in the number of visitors to a region increasesthe demand for services such as ground transit and hotel accommodations. If you’re booking private jet charters to major events, talk to your agent about reserving these services for you. While last-minute changes are usually not a big deal, when travelling during peak travel times, it can affect your ability to secure your preferred aircraft and chosen departure time. For expert advice when booking private jet charter to major events, talk to Stratos Jet Charters. Our agents have the skill and resources to secure the most suitable aircraft so that you can fly safely and conveniently to high-traffic events around the world.